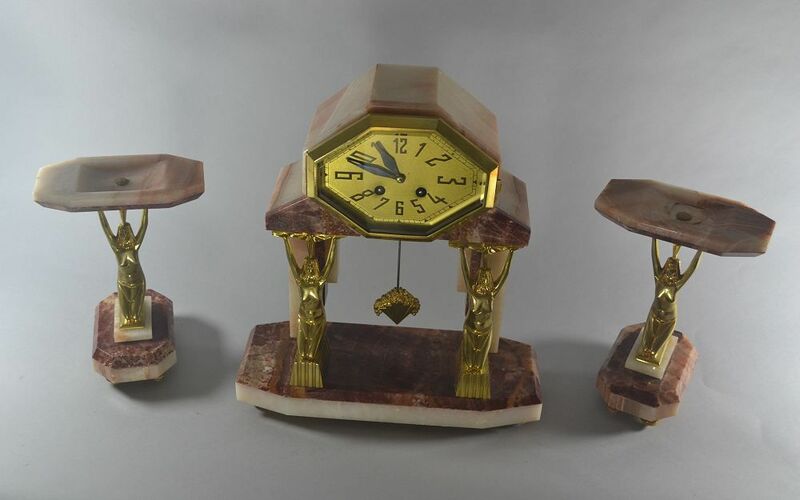 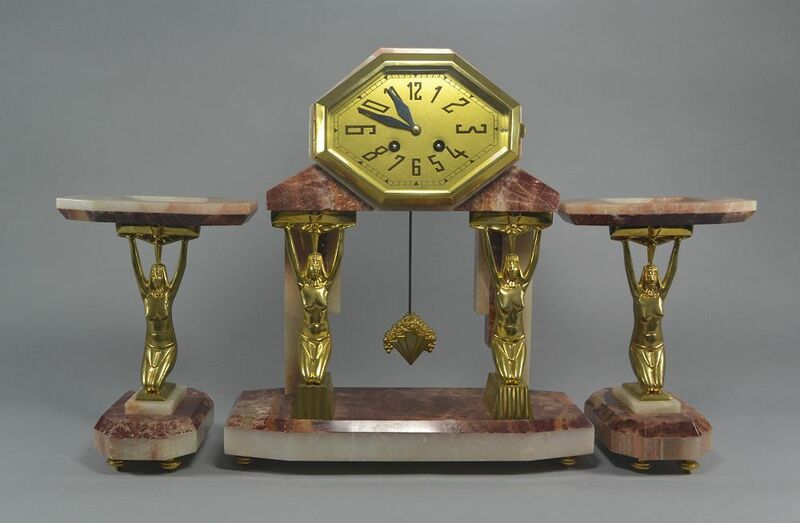 An Art Deco figural gilt bronze and marble Egyptian three-piece clock garniture. 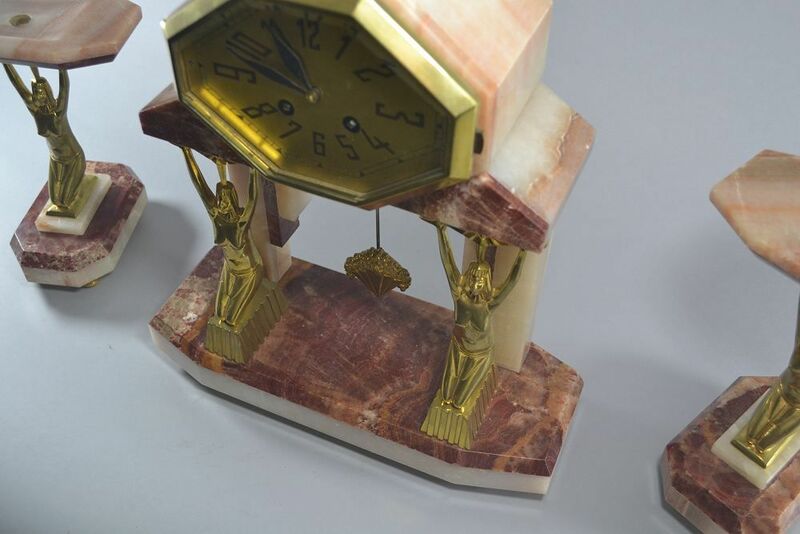 With two Egyptian female figures in gilt bronze, standing upon the rectangular footed base, their arms out-stretched above them on which the clock sits, with two figural garnitures, pendulum and key. 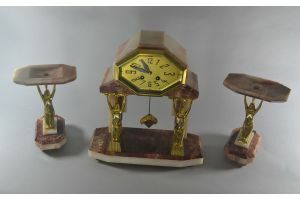 63cm width including side vases when displayed as in my pictures. 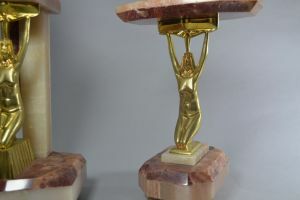 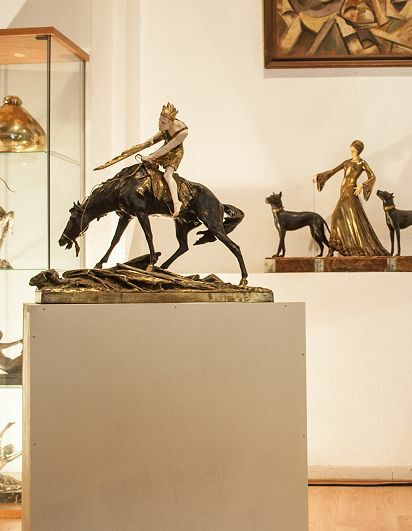 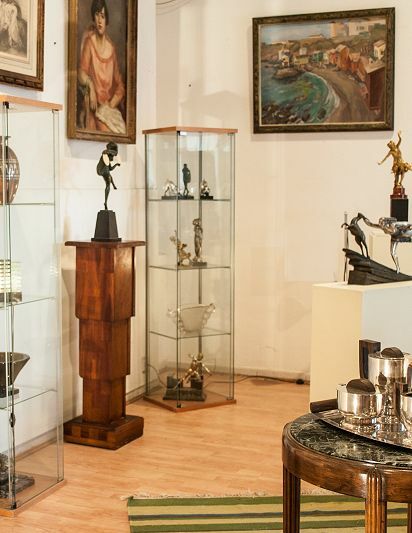 Egyptomania was a strong inspiration for the art deco artists. A full chapter about this in the very good book about art deco by Charlotte Benton, Tim Benton and Ghislaine wood. 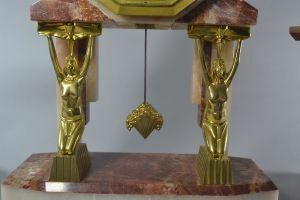 (Page 40 to 50).